As a mom, I have heard the phrase, “That’s not fair,” more times than I can count. It is easy for me to scold my children for their faulty view of life being fair. I mean in our home alone we cannot possibly keep everything even or fair. Many times I have found myself stopping to try and explain this notion to one child or another. I mean really, I don’t see how this is hard to understand until the dreaded comes knocking at my door. “That’s not fair,” isn’t restricted to children. Maybe you’ve been passed up for a promotion, in an accident, health issues, turned down by a publisher, agent or friend; the list could go on. But how do we drop this idea of life not being fair without completely falling apart? If ever there were a poster child for Life’s Not Fair it would be Joseph in Genesis. He was thrown into a pit, sold into slavery (by his brothers), falsely accused and imprisoned. Any one of these events would have left most of us complaining and devising a plan of how to “fix” the situation. However, Joseph chose to look at God and not his circumstances. He trusted God to take care of the details while he did his part – obey. 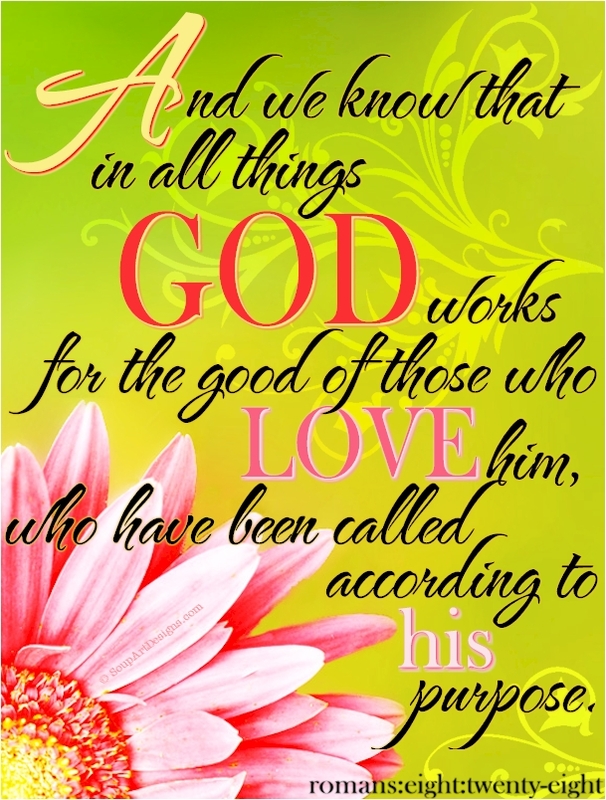 It is a tough pill to swallow at time, but God promises to work it out for good (Romans 8:28). This is according to His plan not ours. Trust God completely with your life. Surrender everything, including what doesn’t seem fair and see what God will do. Take a moment and think of the last time something unfair came knocking at your door. How did you respond? If you focused on the circumstances instead of looking to God ask for forgiveness and learn from this experience so you will be prepared for the next time. Dear Heavenly Father, You know how easily the circumstances of life can grab hold of me and I lose focus. Help me to keep my eyes on You, knowing that You will use all things, fair and unfair, together for good. I surrender my plans, dreams and goals to You today that I will follow after Your leading in me life. I pray that You will grant me the strength and guidance I need. In Your Precious Name, Amen.